Don't miss Maplewood's unique Adult Ride and Whine Camps in 2019! We are now taking registrations and deposits for both camps, which will be filled on a first-come, first-served basis. Plan to join us for one or both camps! 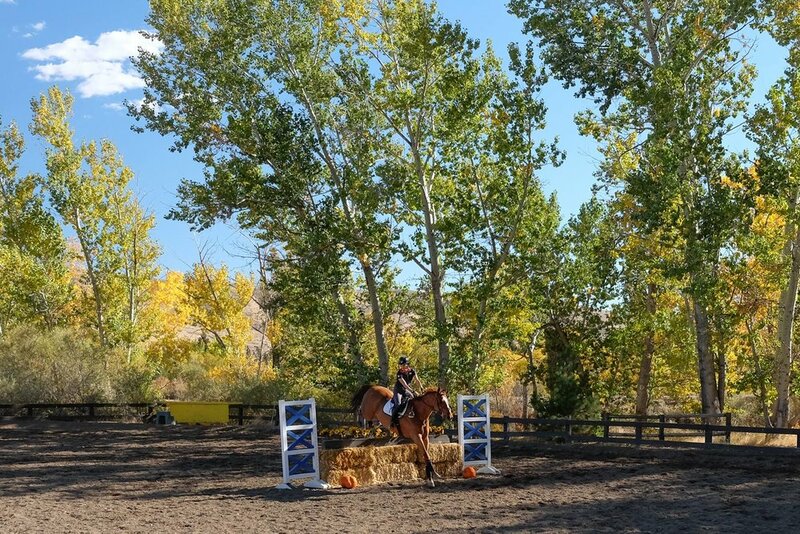 Maplewood's Adult Ride and Whine Camps have become legendary in the equestrian world and attract campers from across the country and Canada! 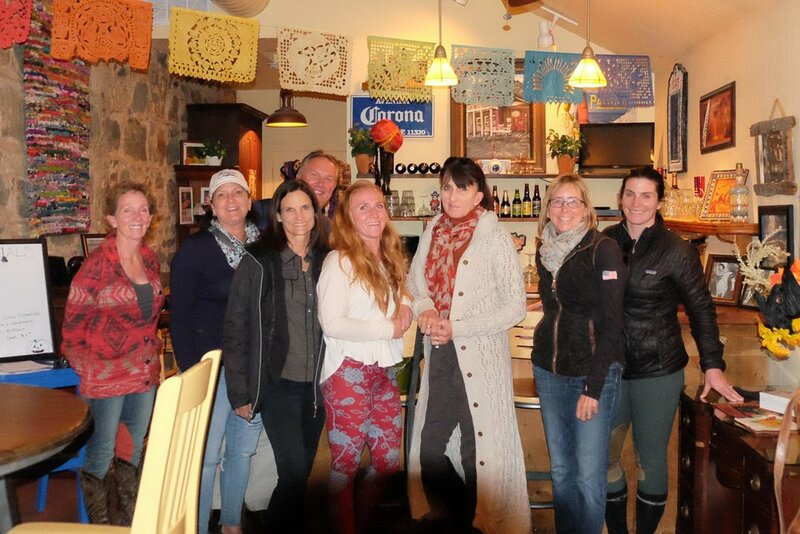 Activities include riding, dining, wine tasting, personal fitness training, sports nutrition, the latest fashion trends for equestrians, educational seminars on conformation, bitting, judging and other horsemanship topics, secrets to success in the show ring, and much more. 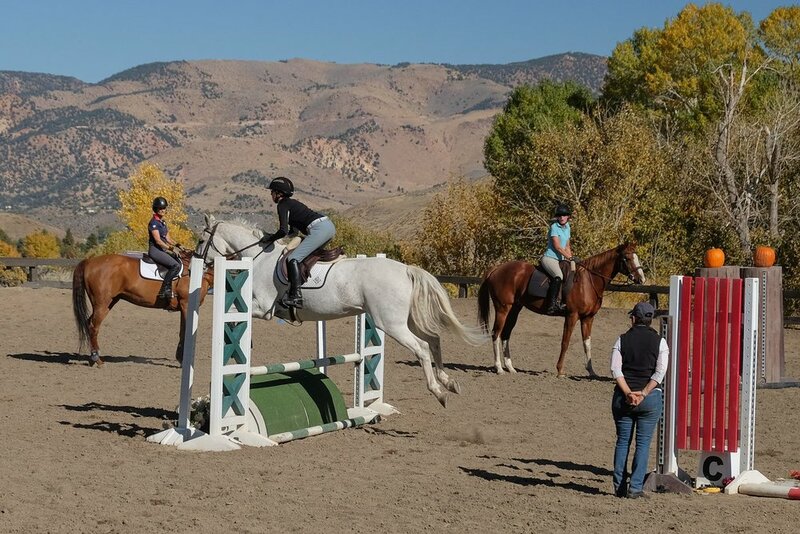 This fun and educational retreat is open to adults of all ages, riding abilities, professionals and amateurs alike. The common denominator attendees must have is that they want to learn and have a good time! 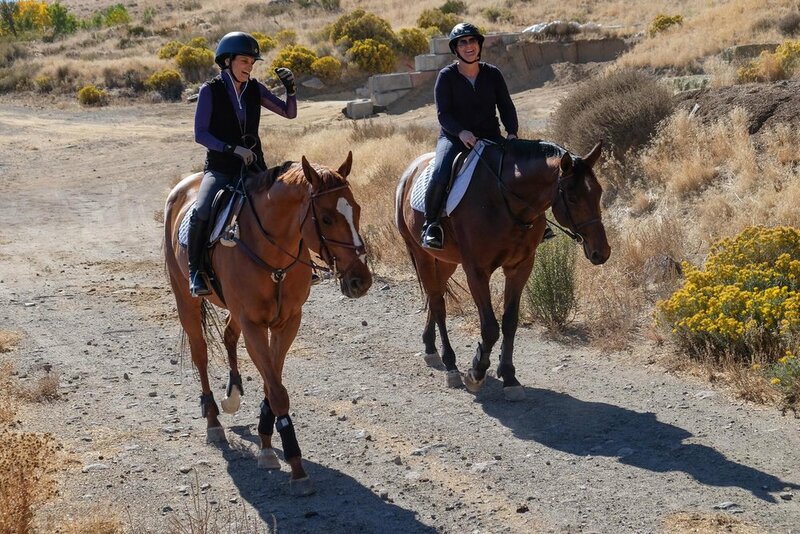 Camps run Thursday afternoon through Sunday afternoon, and you may bring your horse or lease one of our wonderful mounts. The total cost is $1,500 for either option. To ensure the highest levels of education and fun, there’s a strict 12-person limit. A non-refundable deposit of $500 is due upon registration, and the balance is due for the spring camp on April 1 and for the fall camp on September 1. Please send your check to: Maplewood Inc., 425 W. Laramie Dr., Reno, NV 89521 or use our convenient PayPal links below for a small convenience fee. Deposit must be received before space will be reserved. For your convenience, we offer online payments via PayPal for a small additional service fee. For your convenience, we offer online payments via PayPal for a small additional service fee. 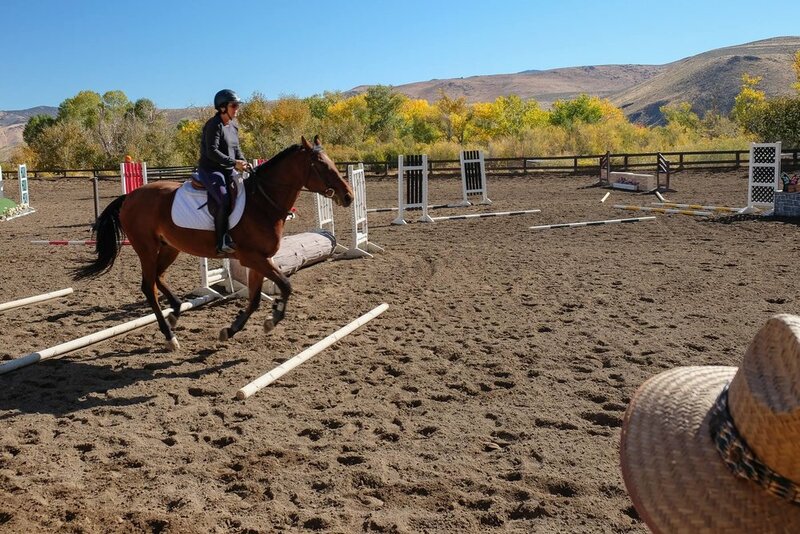 If leasing a horse, please let us know your riding level--beginner, intermediate or advanced. Diet restrictions, allergies, red or white wine, etc.